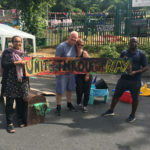 On Saturday 4th August, The award winning Pitsmoor Adventure Playground hosted a street play party-as a part of the Celebrations for the National Playday 2018. Its aim was to encourage children to play out more and for longer. In the past, children played on their residential streets, freely and without worry, but unfortunately, nowadays they do not have the chance. 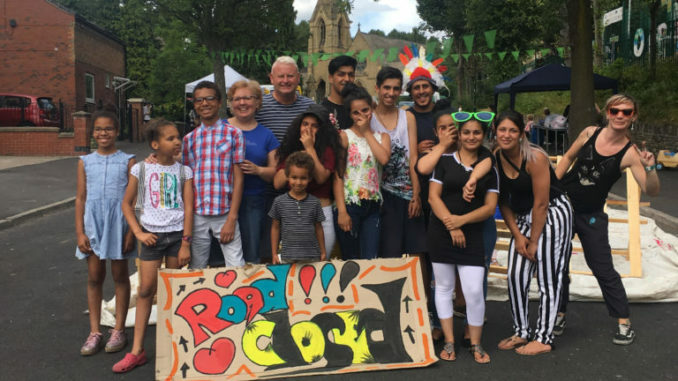 This event reclaimed the street from traffic so that children and their families could gather together outdoors in a space that was unavailable to them before. 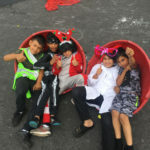 The Playground created a supportive social environment with opportunities for creative, physical and imaginative play and expression, as well as developing children’s self-confidence and self-management skills. 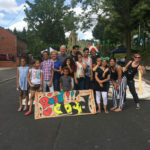 This idea originated from neighbours Alice Ferguson and Amy Rose, as they were frustrated that their children’s freedom to play was restricted in their street in Bristol. So they applied to the local authority to have a street party, and to close the street to traffic for a day. 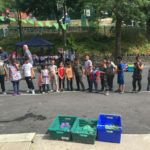 Play is a child’s right according to the UN Convention on the Rights of the Child (1989), yet research shows that children and young people in Sheffield, have been subject to a reduction of outdoor play spaces, over the last decade. This limits children’s play opportunities, which is essential to them.